After a long and difficult journey, one-year-old Nasma and her mother arrive at the hospital, hoping and praying that Nasma will get the help she needs to see. Thank you to all our generous and gracious donors who gave $2.2M over the last two years to Operation Tanzania. We met the target! Soon the profit-generating medical clinic will be fully operational and children, living in poverty with a disability, will be able to receive free treatment! THANK YOU! Over the past two years, almost 12,000 children had to be turned away from CCBRT, our partner disability hospital in Tanzania. That’s someone’s child being turned away almost every hour of every day that the hospital is operating. It’s time for change. We want to be able to equip CCBRT to provide free treatment for all children under the age of 5. 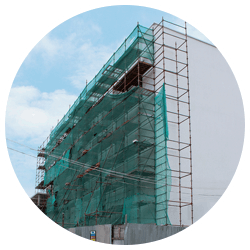 Build a profit-generating private clinic that will serve the growing middle and upper class in Tanzania. The profits from that clinic will fund critical on-going care for children facing the double disadvantage of poverty and disability. When complete and operating at capacity, the private clinic will create a revenue stream big enough to fund free treatments for over 7,500 children under 5, each and every year for generations to come. 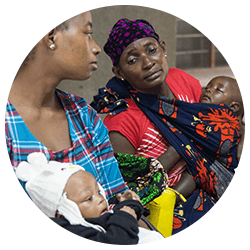 Our long-term partner CCBRT provides medical care to people struggling with poverty and disability in Tanzania, but their budget is stretched thin. They are at 150% capacity, and are forced to turn children and families away because they just don’t have the resources to help them. It’s a growing problem that requires a bold solution. 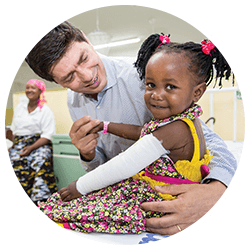 Together with you, our generous donors, we are building a profit-generating private clinic that will fund critical, ongoing care for children living in extreme poverty. This tried-and-tested medical care model creates its own revenue to provide free medical care to children who need it most, but can least afford it. Last year, during Phase 1 of Operation Tanzania, we were able to build the clinic up to the top floor. Now, in the Final Phase, it’s time to finish the interior and equip it. 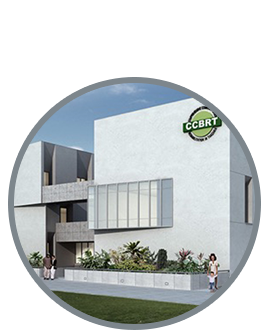 The CCBRT Disability Hospital, founded by Hope and Healing International to provide healthcare for patients facing the double disadvantage of disability and poverty, opens in Dar es Salaam, Tanzania. 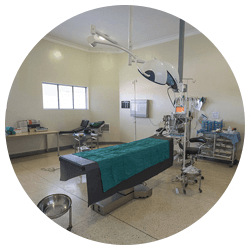 CCBRT begins a test pilot by opening up a small ward in the hospital to provide medical treatment for the upper and middle class Tanzanians – it’s a success. Private Clinic equipped, furnished, opens and begins to fund healthcare for children. Private Clinic generates enough revenue to provide free treatment for more than 7,000 of the poorest children every year for years to come.